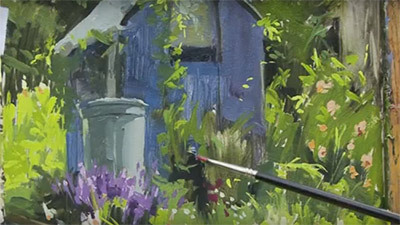 Although the winter in the UK is not the best time for plein-air painting, there is much that can be done in the studio in preparation for such work and so lead to a more confident approach in the future. 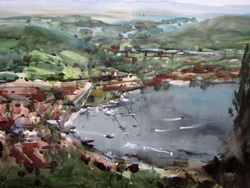 Amanda Hyatt's forte is plein-air painting in watercolour on a very large scale and with a more expressionist technique. 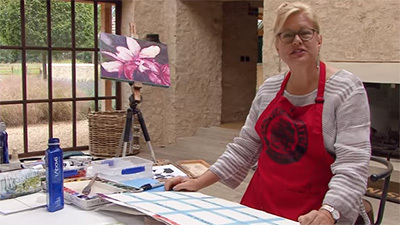 In Five Steps to Watercolour she encourages us not to be daunted by scale and complex subjects, but instead aim for bold treatment, vigorous brushwork and our own interpretation. 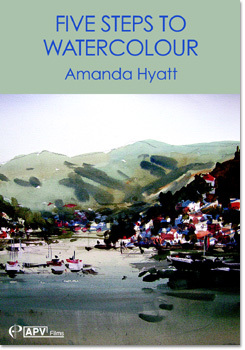 Amanda paints five large watercolours inspired by the scenery around Lake Como, in Italy. 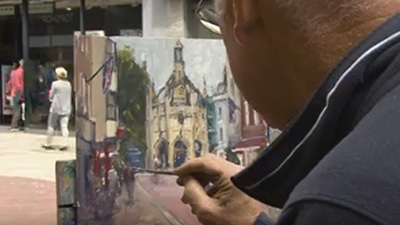 She stresses five key qualities to focus on in painting: composition, colour, tonal values, mood and pulling it all together. 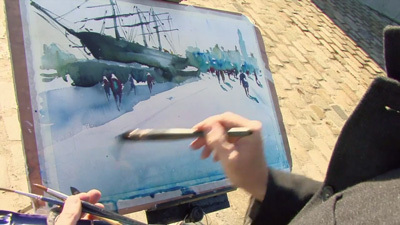 This is big, bold plein-air painting at its best. 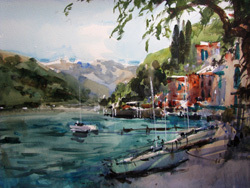 Just a note of appreciation- I have had a delicious day reliving two weeks of painting with Amanda Hyatt in Lake Como and Venice, when I watched your DVD. 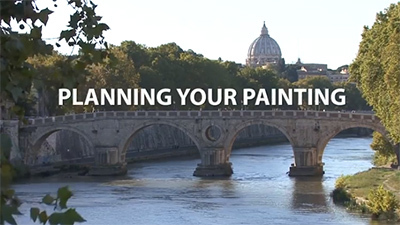 She is so expressive and vigorous, and the places were so magical, all of which your team captured. i like your loose style. 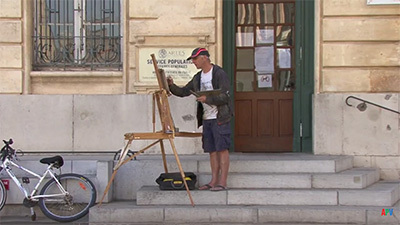 You captured Como as I saw it when I Visited there.